Both strikers will meet on Sunday at the Camp Nou in the first Catalan derby of the season. GET TICKETS! 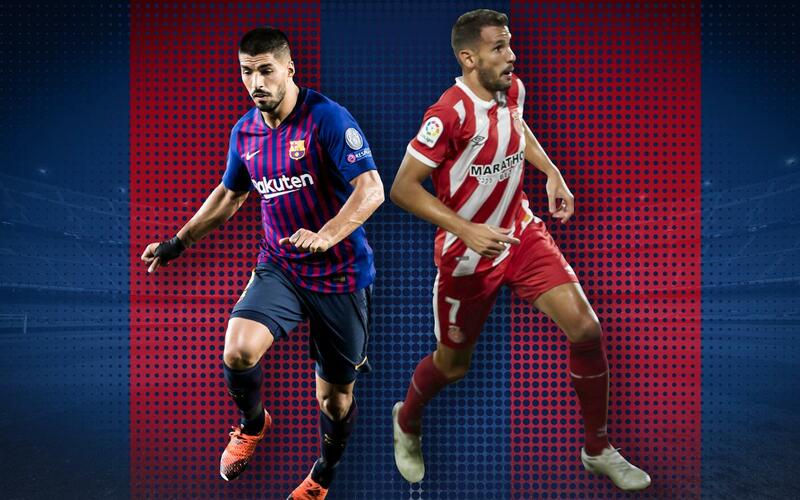 Luis Suárez and Cristhian Stuani will face each other this Sunday (8.45pm CEST) in the Catalan derby between FC Barcelona and Girona FC at Camp Nou. Both Uruguayans are pivotal in their team’s attack, but how do their numbers compare? Last season, the two strikers played the same amount of matches in the League (33), Suárez scoring 25 goals compared to Stuani’s 21. Barça’s No.9 also provided 12 assists more. This will be the third time the pair have played against each other, the first coming when Stuani played for Espanyol in 2014 in a match which ended with a 5-1 Barça victory. On that occasion, neither of the two strikers scored. Neither did they in May of 2015, during their second duel, the Blaugrana winning that one 2-0. Last year’s match brings back good memories for Luis Suárez, the Salto-born forward scoring a hat-trick in the game played at the Camp Nou. In total, he’s managed four against Girona, the other coming at Montilivi. Stuani has only managed to score against Barça once, when playing for Levante in 2011 at Camp Nou. Luis Suárez and Stuani are team-mates for the Uruguayan national team, playing together on 19 occasions. The first time was in a friendly against Japan, a charrúa win (4-2) to which Suárez contributed with a goal. More recently, both enjoyed 23 minutes together against Mexico where Suarez, with two goals and an assist, played a leading role.